Well its safe to say Summer is done and dusted. However… now Rosebud is in its prime. 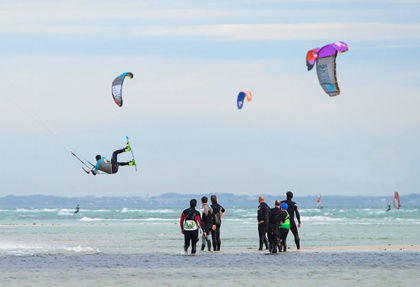 At this time of year the Northerly winds are consistent and good Kiteboarding conditions do minimise to a few spots. Rosebud is by far the best. Why? Big open space. Plenty for learners and freeriders. Shallow and safe. Kilometres of shallow water from knee to shoulder deep. SHQ Rosebud on site for shelter, all your gear needs and drinks! For further information please visit our ROSEBUD LOCATION GUIDE.